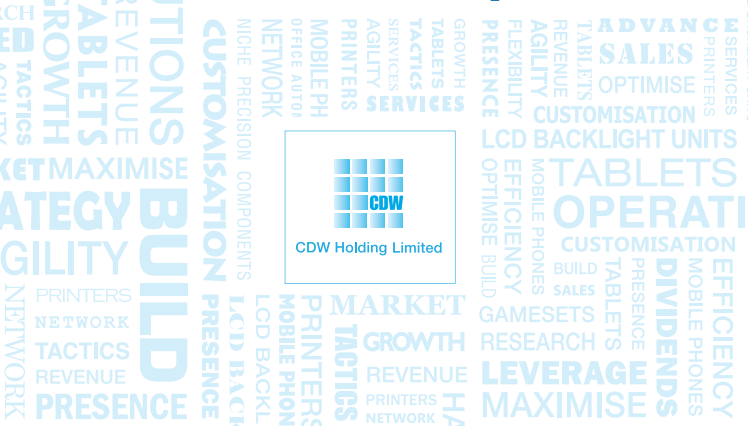 As forewarned in our Sep 2015 update note, CDW’s 3Q15 was dismal, with topline down 33.2% YoY to USD27.5m and NPAT plunging 89.9% to USD0.2m, mainly due to a decrease in backlight unit sales as its key customer in Japan loses market share. The outcome of its initiatives to improve demand for its current products can only be seen in 4Q15. With SGD0.14 net cash/share and a 9.5% FY15 yield, we retain our NEUTRAL call with a DCF-backed TP of SGD0.17 (5% downside). 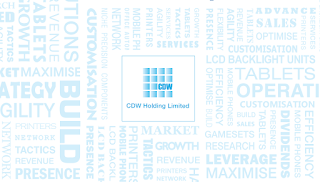 CDW’s 3Q15 was in line with estimates as we had expected a very weak 3Q15 previously. Its topline decreased 33.2% YoY to USD27.5m while NPAT plunged 89.9% to USD0.2m, mainly due to a decline in backlight unit sales as its key customer in Japan loses market share. CDW has successfully co-developed a new-generation light guide which offers the features of flexibility and ultra-thin thickness, suitable for small- to medium-sized liquid-crystal display (LCD) panels in smartphones, tablets, notebooks and computers. Depending on the reception of the market, this product may be the future driver for CDW. 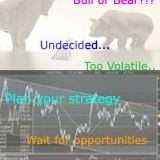 Management has implemented many initiatives to improve demand for its current products. In addition, its major key customer had also launched a new model of touch LCD in June to compete with that of Japan Display Inc (JDI) (6740 JP, NR). The results of all its initiatives can only be seen in 4Q15. Management has also shared that it is in talks with other LCD panel providers in China, Taiwan and Japan to supply its backlight units to them. If secured, this will be a major positive for CDW in terms of demand and may also help reduce its key customer concentration risk.